"I think the difference is that last year I didn’t have a good season but, for now, things are going pretty well. I’m achieving my objectives and I hope to score a lot more by the end of the season. I must continue to keep up good performances for my club and if I’ve got the chance to start over there [for France] I will do the best I can." 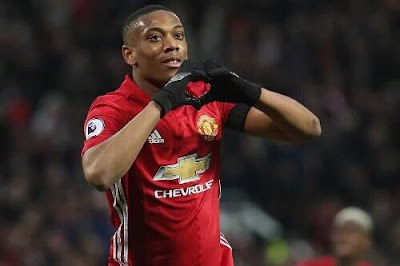 The Reds have struggled in recent years at Stamford Bridge and it promises to be another tough encounter against the champions this weekend, but Martial is targeting three points which would boost United's cause at the top of the table. “They [Chelsea] haven’t started as well as they did last year, but Chelsea is a big team and they’ll certainly try to beat us,” he said. You can watch build-up to the big game against Chelsea on MUTV 's Match Day show from 14:30 GMT on Sunday.